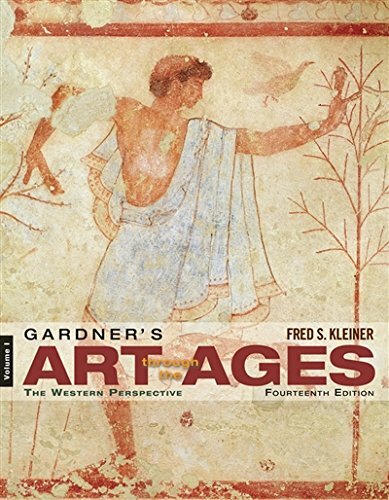 1133950000 -GARDNER’S ART THROUGH THE AGES: THE WESTERN PERSPECTIVE, Fourteenth Edition, provides you with a comprehensive, beautifully illustrated tour of the world’s great artistic traditions, plus many great features that make it easier for you to excel in your art history course! Easy to read and understand, the latest edition of the most widely read art history book in the English language continues to evolve, incorporating new artists and art works and providing a rich cultural backdrop for each of the covered periods and geographical locations. A unique scale feature will help you better visualize the actual size of the artworks shown in the book. Within each chapter, the “Framing the Era” overviews, a new timeline, and the chapter-ending section entitled “The Big Picture” will help you review for exams.